Stonehill Property Group are proud to introduce the release of the last three remaining ultra-luxurious penthouses to the city skyline. Situated in the heart of the Mother City on the corner of Strand and Riebeek streets, the Stonehill Place Penthouses command the top storey of the Radisson Blu Hotel. With unrivalled views from every aspect, five star hotel amenities on hand and simple access to the city with its many attractions in close proximity, Stonehill Place Penthouses create a harmony of convenience, luxury, security and style. 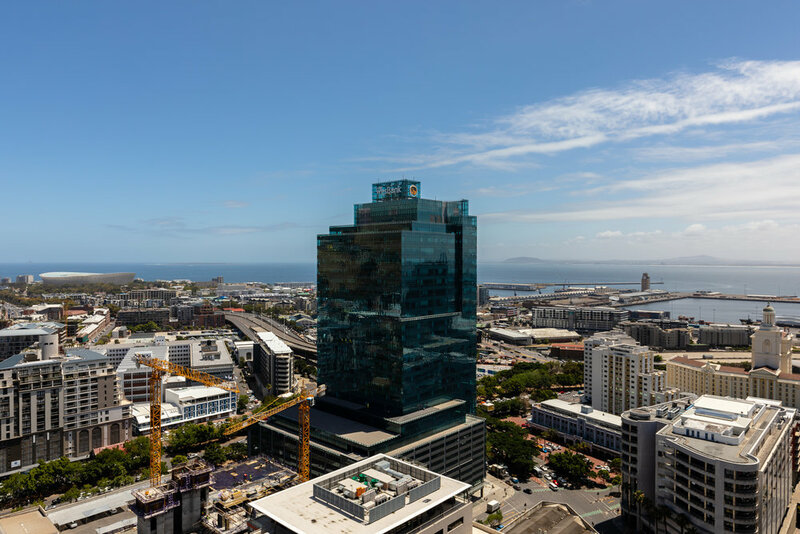 With expertise in urban regeneration, commercial and luxury residential development, Stonehill Property Group completed a total refurbishment of one of Cape Town’s iconic office towers in 2017, transforming what was the twenty three floor Safamarine House, from a commercial property into the five star 214 roomed Radisson Blu Hotel and Residence. Stonehill retained the top storey of this architecturally award winning building as the ideal canvas for their halo residential project, constructing three luxurious and expansive penthouses in what is currently the highest residential building in the city. The last remaining penthouses present a unique opportunity for the discerning buyer to secure one of Cape Town’s most enviable addresses as their personal city sanctuary. 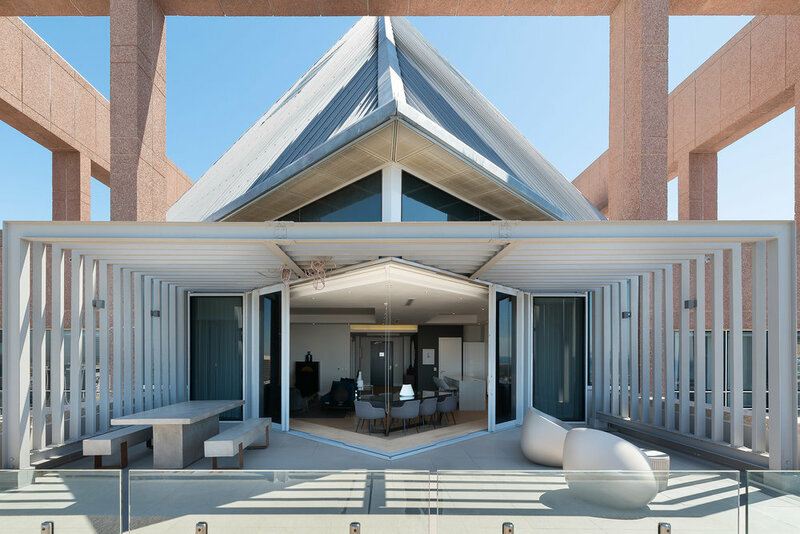 Offering the convenience, security, luxury services and amenities of a five star hotel, within the comfort and sanctuary of a private home, there is good reason why hotel residences have become popular among discerning buyers around the world. Each penthouse comes fully furnished in a timeless aesthetic created by renowned interior decorator Francois du Plessis. In addition to world class security and smart home technology, all fittings and finishes are to the highest international standards. Offering the convenience, security, luxury services and amenities of a five star hotel, within the comfort and sanctuary of a private home. There is good reason why hotel residences have become popular among discerning buyers around the world. Each penthouse comes fully furnished in a timeless aesthetic created by renowned interior decorator Francois du Plessis. In addition to world class security and smart home technology, all fittings and finishes are to the highest international standards. The fortunate new owners of a Stonehill Place Penthouse can choose to entertain friends and family privately on their expansive rooftop terrace, or in the vibrant company of other hotel guests in one of three restaurants or the poolside bar within the Radisson Blu Hotel and Residence. In addition to enjoying full access to all hotel amenities such as the executive club lounge, gym and 24 hour room service during their stay, the penthouse residents can opt to include their property in the hotel’s rental pool and earn passive income while they are away. Stonehill Place fall within Cape Town’s Urban Development Zone (UDZ), allowing investors to claim a depreciation allowance or capital deduction against their taxable income. In the context of a Stonehill Place Penthouse, investors may write off 30% of the VAT inclusive purchase price over a 5-year. The major benefit to investors is that the large capital deduction is not automatically ‘ring-fenced’ and generally creates a substantial tax loss situation for the investor which can be offset against other taxable income (e.g. income from other property investments, trade income and even salary income). Fill in your details, time and date preferences and we’ll get back to you as soon as we can! Select one or more of the options below. Thank you! A sales consultant will contact you shortly. © Copyright Stonehill Property Fund. All rights reserved 2019. Terms and conditions apply.